Progressive PR & Communications were engaged to spread the lively colours from the Darwin Street Art Festival by developing a national media relations strategy, amplifying the festival’s reach from the Northern Territory right around the country. The Darwin city centre has been transformed into a technicoloured streetscape by the government funded initiative which engages local, national and international artists to create powerful large-scale murals on some of the city’s best-known buildings. The 2018 festival featured incredibly moving imagery of the late aboriginal musician Dr G Yunupingu, known colloquially as Gurrumul, and a striking portrait of Tiwi Islands transgender entertainer and sistagirl, Shaniqua. 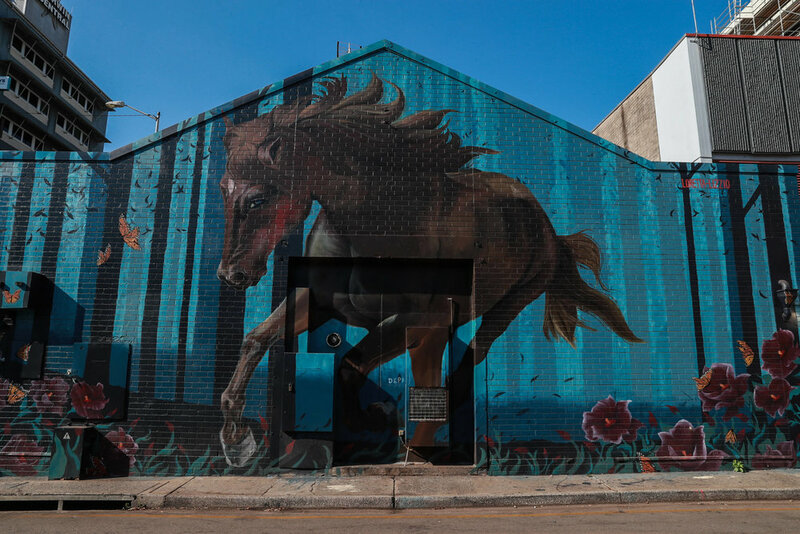 Despite officially running for just two weeks, the Darwin Street Art Festival casts a colourful mark on the city centre with many of the murals displayed indefinitely for locals and tourists alike to enjoy.